Punjab Welfare, Animal Husbandry and Dairy Development Minister Mr Gulzar Singh Ranike today said that in a bid to provide employment to our youth, all vacant posts of Veterinary Doctors and Veterinary Inspectors would be filled soon. He said that the department has already asked the Punjab Public Service Commission (PPSC) and Punjab Subordinate Services Selection Board to initiate the recruitment process so that these appointments are made at the earliest.Mr Ranike said this while speaking to media persons after distributing appointment letters to 35 recently appointed Veterinary Inspectors at Circuit House, here today. Mr Ranike was accompanied by Mr Jaswinder Singh Bhola, SAD SC Wing District President, Dr HS Sandha, Director, Animal Husbandry Punjab, besides several others.While speaking to the media persons, Mr Gulzar Singh Ranike said that ever since the Shiromani Akali Dal-Bharatiya Janta Party government formed government in Punjab, they have appointed more than 800 Veterinary Inspectors. He said that the Punjab government is committed to provide employment to maximum number of youth and that is why, very soon, all vacant posts in Animal Husbandry and Dairy Development Department as well as in several other departments would be filled. Replying to a question related to some farmers and dairy organizations who had rued that they have been suffering huge losses due to some cow vigilante groups active in the state, Mr Gulzar Singh Ranike said that Prime Minister Mr Narendra Modi has made it clear that all strict legal action would be taken against all such persons. He said that the Punjab government would not let any person get harassed in the hands of any such person.Mr Ranike, who is also the President of SAD SC Wing, said that the Punjab government has started several welfare schemes for all sections of the society, including the Scheduled Castes. 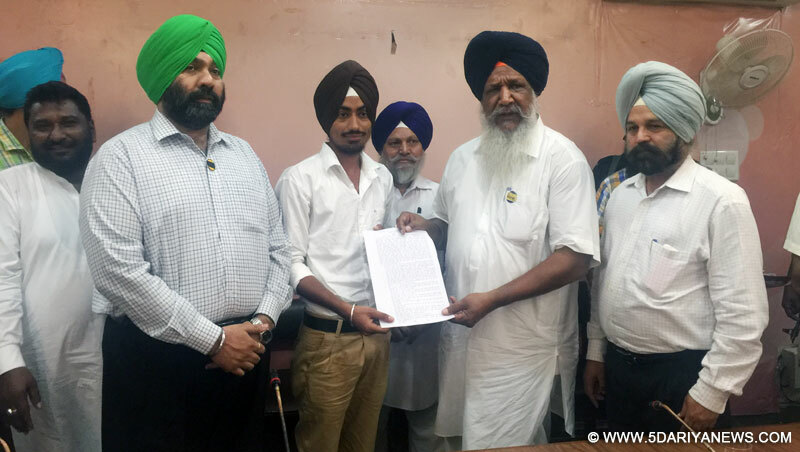 He said that the SAD SC Wing would play an important role in the upcoming Vidhan Sabha elections and would even educate the masses about the policies and schemes of the Punjab government.After distributing the appointment letters, Mr Gulzar Singh Ranike congratulated all the newly appointed Veterinary Inspectors and urged them to work hard and perform their duties with utmost devotion and honesty.Prominent among those present on the occasion included SAD leader Mr Sukhwinder Pal Singh Garcha, Senior Veterinary Officer Ludhiana Dr Rajvir Singh, Assistant Director Animal Husbandry Ludhiana Dr Sushma Sobti, besides several others.